The more I sew and share my creations with friends and readers, the more questions I receive about how I got started sewing and the best way to learn. I realize that from the outside, sewing can be incredibly daunting when you see a finished project and think, “I have no idea where to begin to make something like that.” Don’t be afraid to try new things because of course, you’ll never learn without trying. Not to mention that we often learn more from our failures than our successes. Do not let fear of failure deter you from trying new things! I was just like those of you with no knowledge of sewing and combination of awe and admiration when I saw an amazing creation someone on social media had sewed themselves. Eventually, these adorable outfits got the best of me and I simply HAD to learn to sew. I tried and tried to get into an introductory sewing class at a local quilt shop, but they booked up every session before I was able. Eventually, I decided I was going to figure this out on my own. I taught myself how to cook. I could do this too. The most intimidating part for me was figuring out how to operate a sewing machine. Even though not all of us grow up in a family with an experienced sewist, most of us know someone who is. Even if they are just an acquaintance, they can certainly explain the basics of using a machine. My sweet friend Kelly taught me the basics: how to fill and load a bobbin, how to feed the fabric through the machine, how to backstitch at the beginning and end of rows to lock the stitches in place, and importantly, placing my pins in the direction so that they could easily be removed from the fabric as I sewed. It probably took no more than an hour but this was incredibly valuable and I think of Kelly every time I do a lot of these things! While an intro to sewing class would certainly be helpful, don’t underestimate the importance of a knowledgable friend. I went to Joann Fabrics and talked to the salesperson about my needs. She suggested a machine for me that was within my budget and would be able to do all that I wanted it to. Once I had the machine home, I familiarized myself with it using the manual and a few YouTube videos though, to be honest, I have little patience for tutorials like that and prefer to jump right in with both feet. 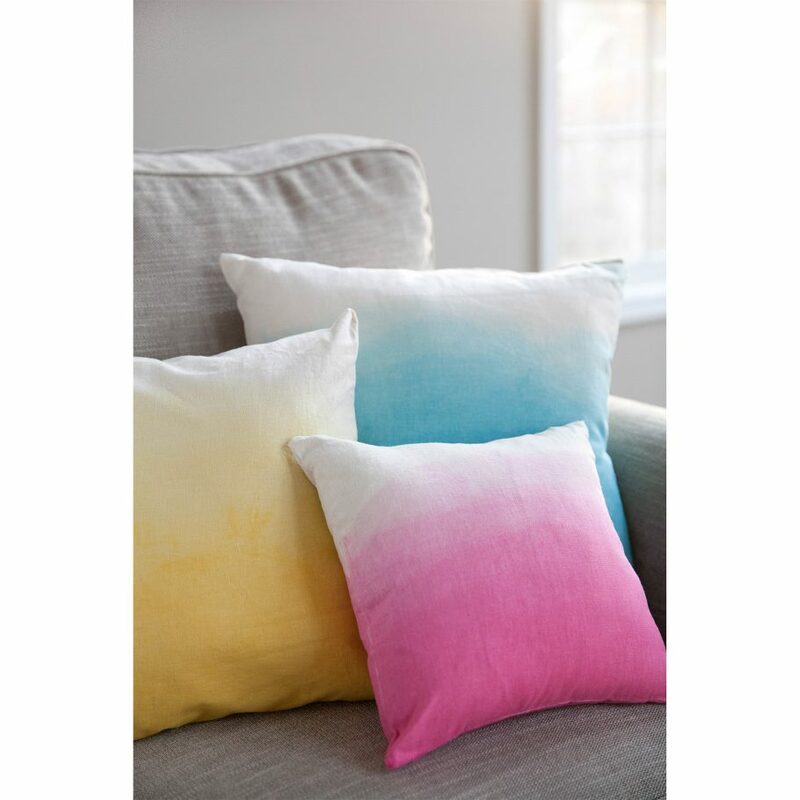 I started out with simple projects like throw pillows, pillow cases, and progressed from there once I felt I had the hang of using my machine. Scroll down to see some of the earliest projects I made that I think would be good for beginners. Not to mention, sewing has come in handy for much more than clothing. I’ve made countless un-paper towels for use in my kitchen, last minute placemats for a dinner party, and a vastly cheaper homemade version of some curtains I wanted badly from Anthropologie. I also love that I’m able to repair clothes I might have previously thrown out and extend their life significantly. Also, I love sewing for what it is! I love the planning that goes into a project, plotting out the details to ensure I have exactly the outcome I want. I love that I learn a new skill with almost every single project I make. I love the whir of the machine as I work, and I love the piecing together of a garment as if it were a puzzle. And of course, nothing compares to the feeling of being at work, a restaurant, or the airport and having a random stranger say, “I love your dress!” and knowing you made it yourself! Seeing my daughter almost always choose homemade clothing before store-bought is also totally unexpected and extremely rewarding. While I don’t consider myself an expert sewist by any stretch, I do think I’ve acquired some useful tips and strategies over my time with this hobby so far. Practice makes perfect: As with anything, the more you practice, the better you will be. This is true with sewing overall, but one thing I have found especially helpful in this regard is to make multiple of the same garment at a time if you think they will be useful. 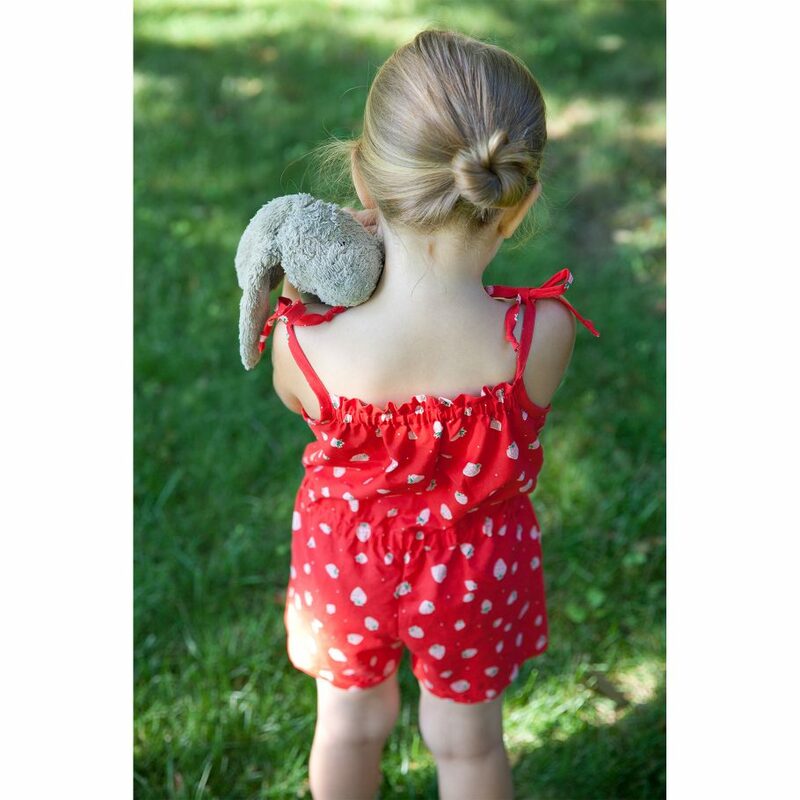 For example, I sew a handful of Purl Soho summer rompers every year around this time and when I sew one after another, I notice that my skills improve with each one, even to the smallest details. Planning is always worth the effort: With each project I make, *especially* when I am sewing garments, I find that putting plenty of thought in before I start pays off tons in the final outcome. For example, I consider what sort of fabric will feel most comfortable and look best for this garment. I scroll through social media hashtags for each pattern I’m planning to consider sizing, and any modifications or customizations I might want to include. Break it up: Don’t be intimidated or overwhelmed by what might seem like a complex or involved project. You don’t need to sew an entire garment in one sitting, and I almost never do! One thing I love about sewing is how I can complete just one or two steps of a project at a time so that even in a busy week, I can produce a beautiful dress or whatever I like with just 15 minutes here and 15 minutes there. Purl Soho: Purl Soho projects were probably the main thing that pushed me over the edge from wishing I knew how to sew to feeling determined that I be able to make some of their beautiful projects. Their projects, both free and for purchase, are stunning and clear, and their shop is full of inspiring fabrics and tools for creating. 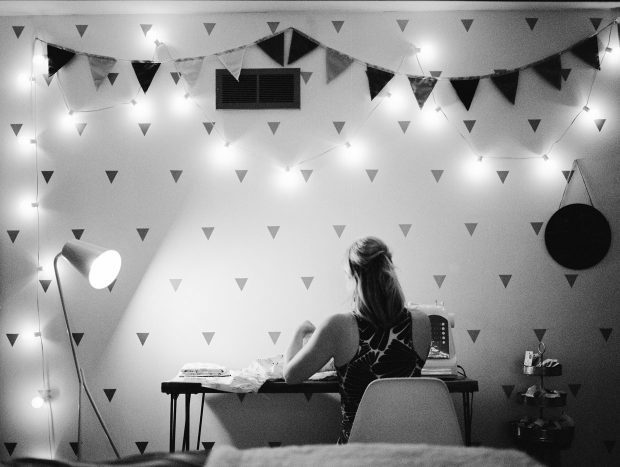 Seamwork: Seamwork is SUCH a cool concept. I signed up early in this sewing journey and am so glad that I did! The membership is a monthly fee, but each monthly issue includes two new patterns, tips on sewing with certain types of fabric, a super fun and useful article Block, Paper, Scissors with pattern hacks on ways to vary the patterns offered that month, and more! The membership also includes pattern credits to be used in their ever expanding pattern shop. Also, they have partnership with several online retailers so Seamwork members receive a discount with their exclusive code. It has been invaluable in expanding my sewing skills, knowledge, and interest. I highly recommend it! 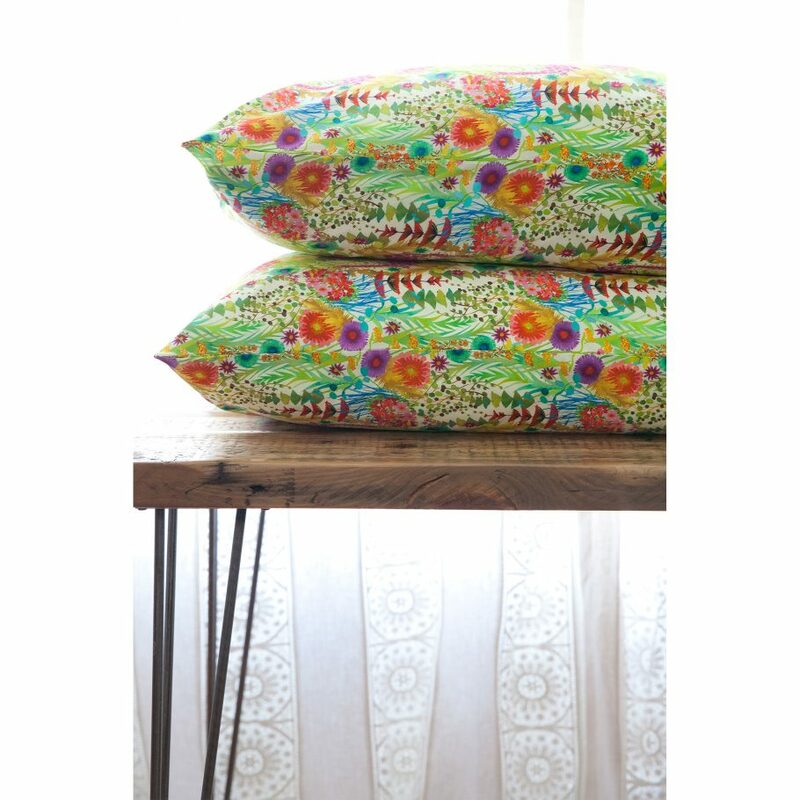 Indiesew: A wealth of patterns, fabric shop, and tons of great tutorials. Specifically, Indiesew’s instastories are my favorite thing! They are a wealth of inspiration and give me lots of leads for tons of helpful techniques and tutorials. I’m always learning more by following along and finding new patterns I can’t wait to try! These are a handful of the early projects I started out with. However, be careful to avoid limiting yourself unnecessarily just because a project isn’t expressly “beginner” level. Sewing rectangles together couldn’t be simpler, right? These pillow cases are slightly more involved than that but when you get right down to it, it’s still sewing lots of straight lines. French seams were one technique I learned from this project that I adore, and still include in some projects even when they aren’t expressly called for. They make for a lovely finish. 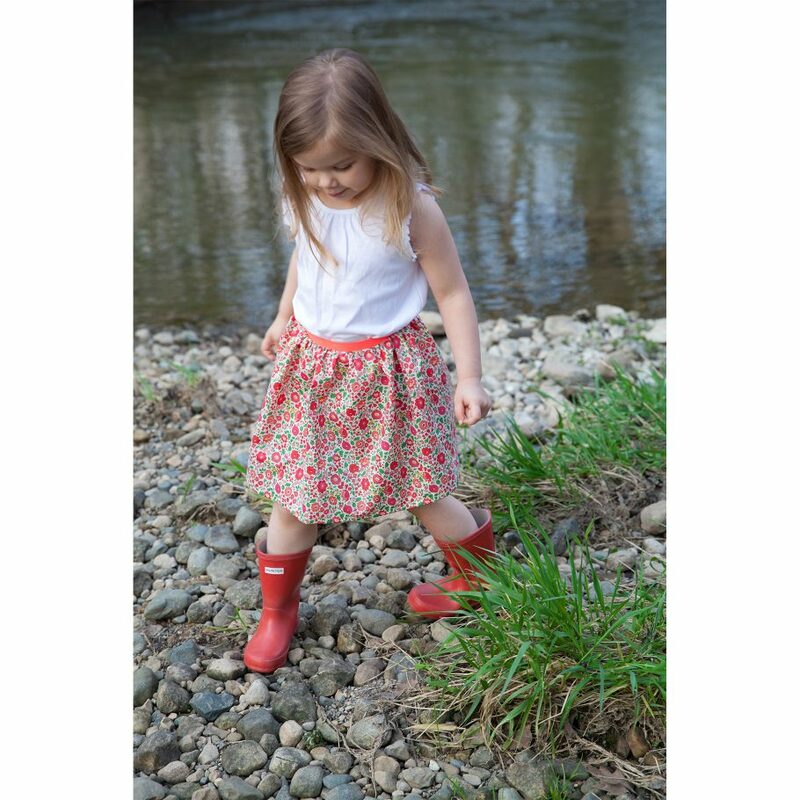 This skirt could not be cuter or simpler. If only elastic looked so chic on adults, I would totally be making these left and right for myself! This is one of the fastest projects ever and comes together in under an hour. I’ve made so many of these and Caroline loves them as much as I do. When you sign up for the Purl Soho newsletter, you receive one pattern for free that would normally be for purchase (from a selection). I chose this women’s robe pattern and it was the first garment I sewed for myself. It may look involved but this was actually one of my earliest projects and it turned out great! I was also excited to have repurposed fabric I had originally used as the tablecloth for one of Caroline’s birthday parties. I made another as a gift and plan to make more in the future. I shortened mine because I’m not about that long robe life, but otherwise love this pattern. These were the very first thing I sewed, and I still have them on my couch to this day! This is an easy peasy fun project that is perfect for brightening any room. 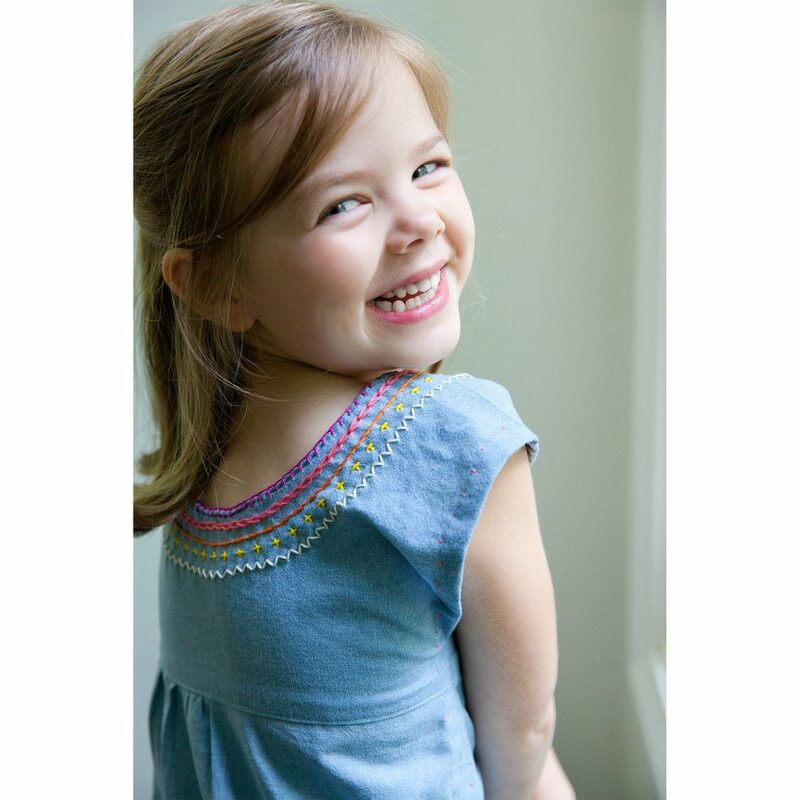 Another lovely free pattern from Purl Soho, this is a simple top or dress that is easy to put together. Once the garment itself is constructed, you can try your hand at colorful embroidery around the neckline. Such a beautiful detail! Yet another free pattern from Purl Soho, and one I have made again and again. These helped me become more comfortable with bias tape (both making my own and using it) and with using elastic inside a waistband. This pattern is sized for both kids and adults so you can make them for yourself as well. I’m hoping to make a few more pairs before our vacation at the end of June to take along with us. I am relatively certain that this is the pattern I have made the most times, and for good reason – it is the perfect summer staple! This was definitely one that appeared intimidating to me the first time I made it but now I can whip these together pretty quickly. Caroline requests them each summer and I’ll be sad when she finally outgrows this pattern…but who knows, maybe I’ll be able to improvise my own as she grows. I wish there were lots more good patterns for boys but I see a fraction of things Andrew would actually want to wear as compared to the volume of patterns available for girls. 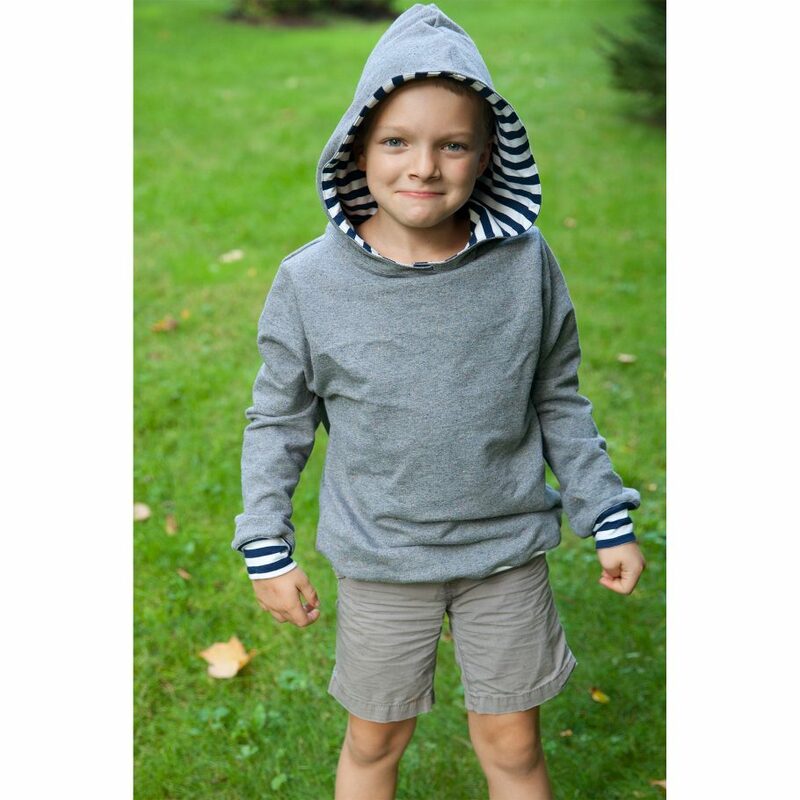 In any case, I loved this free pattern for a simple hooded sweatshirt. Such a nice cozy staple and very easy to make! Seriously, let me know! If there are specific topics you want me to cover in greater depth in future posts, please leave suggestions in the comments below. Thanks for your feedback, as always! I hope that you found this post useful and that maybe, just maybe, it makes sewing feel more approachable for you. I promise, if I can do it, so can you!